Betsy sits with Kim at the Christmas re-wedding of her grandparents David and Ellen Stewart. Meg Ryan plays Betsy here. Betsy listens as David and Ellen toast each other at their wedding reception. Betsy talks with Miranda Marlowe just before little Andy runs into her arms. 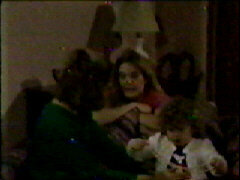 Andy sits in Betsy's lap during the credits of the 1981 Christmas show. That's Miranda sitting next to them. 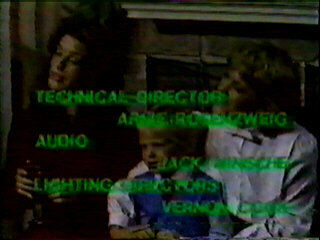 Betsy with her then-husband Steve and their daughter Danielle during a flashback from the credits of the 30th anniversary show in 1986. This is Lindsay Frost's Betsy. Betsy and Steve at Kim and Bob's for Nancy and Chris' 50th anniversary party. 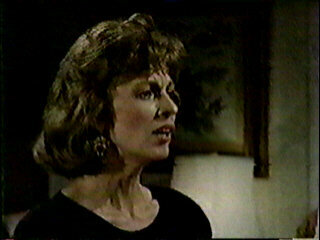 Betsy sees Susan for the first time in years when she unexpectedly, and uninvitedly, shows up at the anniversary party. Susan comments all little Betsy all grown up with a child of her own, then tells everyone that Emily's missing and she can't do anything about it because she's of legal age now. Betsy and Dani spend some time with Sierra, just before Bryant was born. Betsy and Sierra talked about being single parents (Steve was in Greece and Sierra had divorced Tonio, whom she believed was the father of her child). While Betsy and Sierra talked, Dani put her hand on Sierra's big, pregnant stomach. So cute!